Alex Sventeckis is finishing the first of two years in the Master’s in Philanthropic Studies program at the Lilly Family School of Philanthropy, where he explores his specific interests in fundraising and social entrepreneurship. He volunteers in Student Services at the School, and serves as Editor of the weekly School newsletter, Philanthroflyer. Contact Alex by email. Every once in a while, the Philanthropic Studies program offers a pleasant surprise, someone or something that demonstrates just how wonderful is the philanthropic world. Wesley Boone, who recently earned the prestigious Jefferson Award for the work with his organization, Gear Going Global, was one such pleasant surprise. When I interviewed him via email (he was studiously preparing for his midterm examinations at the time), I will admit that I expected to be conversing with a soon-to-be-graduating senior. Imagine my pleasant surprise upon discovering that Wesley is a freshman in the Bachelor’s in Philanthropic Studies program—on paper, a beginner to philanthropy. Yet, after interviewing this freshman, I feel safe in asserting that Boone is far from a beginner, as he has already accomplished some incredible feats. One such feat is the organization he founded at age 16, Gear Going Global, with a mission to “collect new and used sports gear and send it to underprivileged children in developing countries,” with the eventual goal being “to send gear to every country in the world.” The organization originates from his own passion for sports, especially soccer. His philanthropic drive and love of sports thus combined to create Gear Going Global. His experience running this organization is what inspires Boone to delve deeper into the philanthropic world with the Philanthropic Studies program, where he can continue “getting the knowledge to grow Gear Going Global to its greatest potential. That way I can impact more children around the world,” he said. With a resolute mission and a well-crafted strategy, Gear Going Global—and Boone—are quickly growing in prominence. Boone recently participated in the LEAD360 Challenge, hosted by the Jefferson Awards Foundation (JAF). His motivation for applying to LEAD360 sprouted from a desire to forward his organization’s goals, since through the challenge, “the whole nation can potentially get involved with Gear Going Global and create big-time impact,” he says. The challenge took place between “BIG Ideas”—organizations like Gear Going Global—in three categories: Education and Literacy, Hunger and Poverty, and Health and Wellness. Out of 5,000 applicants, Boone was selected as one of 15 finalists. After an intense social voting competition, wherein members of the public could view information about the organizations and cast their ballots for their favorites, Boone won both the Health and Wellness category and the overall competition. For his victory, Boone flew to New York City and attended the National Jefferson Awards Foundation Gala to receive his Jefferson Award. When the word came about his win, “the first person I called ... was my mom to tell her that I won and that she is coming to New York with me” to attend the Gala (a very wise decision, Wesley). Of course, it was not all glitz, glamor, and an extended chat with Buffalo Bills running back Fred Jackson. 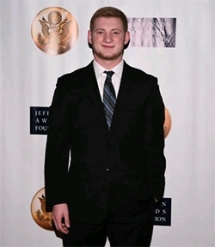 In New York, Boone also attended the JAF GlobeChangers Bootcamp, where he learned about “marketing and networking techniques” and “how to use crowd funding, grants, and other skills to fundraise” for his organization. It is a response like the one above that illustrates Boone's perspicacity and passion, expertly focused in a way no beginner could manage. Already, he has plans after graduating from the program (a question I had prepared thinking he would be graduating this May). “After graduation, I hope to be able to support myself with Gear Going Global,” Boone said, or he will look for “a managerial or administrative position at a sports facility such as Lucas Oil Stadium, Bankers Life Fieldhouse, or Grand Park,” hopefully incorporating new partners into his mission with Gear Going Global. After our email exchange, and examining his successes so far, I believe that Boone will take Gear Going Global to incredible places, and I eagerly anticipate the other pleasant surprises he will create along the way. You can learn more about Gear Going Global on its website. 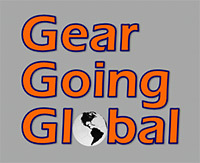 Follow Gear Going Global on Facebook and Twitter. Learn more about the LEAD360 Challenge. You can send Wesley an email here.